HARARE – The current fuel shortages being experienced in the country are a reminder to all and sundry that Zimbabwe is a long way off from stabilising its sickly economy. And the prevailing economic situation serves also to remind the authorities that without an inclusive approach, Zimbabwe will continue to be in the grip of this crisis. The irony of all this is that we shouldn’t be experiencing these all-too-familiar problems which weary ordinary Zimbabweans had thought were now going to be things from the past following the coming in of President Emmerson Mnangagwa as new leader. Under former leader Robert Mugabe’s ruinous rule, particularly the last years of his catastrophic leadership, Zimbabwe had become a hopeless State. Sadly, for Mnangagwa and indeed his government, as the economy continues to tank, comparisons are now being made with Mugabe, who critics of the new Zanu PF leader, say the current problems make him look like a “saint”. Mnangagwa is now in his fourth month of a five-year mandate and has the time to turn things around. However, so far his government’s policy measures have failed to find resonance with the ordinary folks, because they appear targeted at just raising revenue without creating conditions for them to earn and spend money. The current fuel crisis has badly exposed government and judging by different statements coming from various senior officials, no one knows what the authorities are really doing to correct the situation. It is disconcerting that after a few weeks of stability, the country is experiencing shortages much worse than those of late October and early November. The recurring shortages point to serious problems which could be a harbinger for more pain and heartaches in the New Year. 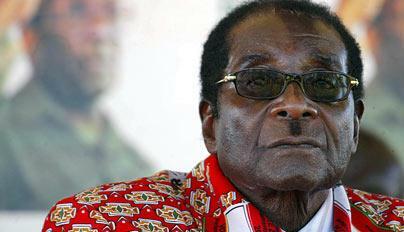 Zimbabweans need a good Christmas cheer but so far chances of a Santa Claus appearance look remote. Meanwhile, our neighbours in South Africa will enjoy a hefty drop in the price of fuel as from Wednesday. “Gauteng motorists will be paying R1,84 less for both 93 and 95 octane petrol per litre from Wednesday. “The Energy department said the price of diesel would drop by R1,45 and R1,47 respectively and paraffin by R1,78. LP gas will drop by R2,43 p/kg,” the Sunday Times of South Africa reported yesterday. We are being reminded of the good times by our neighbours yet Zimbabwe has the tools to turn lemons into lemonade.